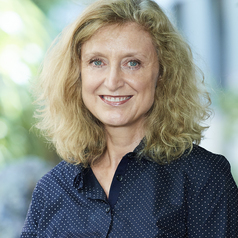 Dr Karen Scott is Senior Lecturer at The University of Sydney Children's Hospital at Westmead Clinical School. Karen researches digital health literacy, determining how parents and young people search for and use health information on the Internet and in social media, how they assess its trustworthiness and how they communicate about it with health professionals. Her two most recent papers in this area are: Yardi S, Caldwell PHY, Barnes EH & Scott KM. How do parents search for information on their child’s medical condition? Journal of Paediatrics and Child Health - online first (https://onlinelibrary.wiley.com/doi/abs/10.1111/jpc.14068); and Freeman JL, Caldwell PHY, Bennett T & Scott KM. How adolescents search for and appraise online health information: a systematic review. Journal of Paediatrics. 2018: 195: 244-55 (https://www.sciencedirect.com/science/article/pii/S0022347617315871?via%3Dihub). Karen also undertakes medical education research, in which she has an interest in technology enhanced learning, student learning, teacher beliefs and the culture of healthcare settings.